Can we apply tag filters to “questions with new activity” in the Questions tab? If one sits on the questions tab with whatever filter and sorting they have, eventually a message will appear saying X questions with new activity. Clicking on this message will add all of these questions to the current list. However, these questions are not filtered by the ignored tags settings. That means that, as far as I can tell, one needs to refresh the page in order to apply this filter. I'm not even sure if it's a bug or not-so-good design. In any case, can it be made that the ignored tags are checked before showing this message? 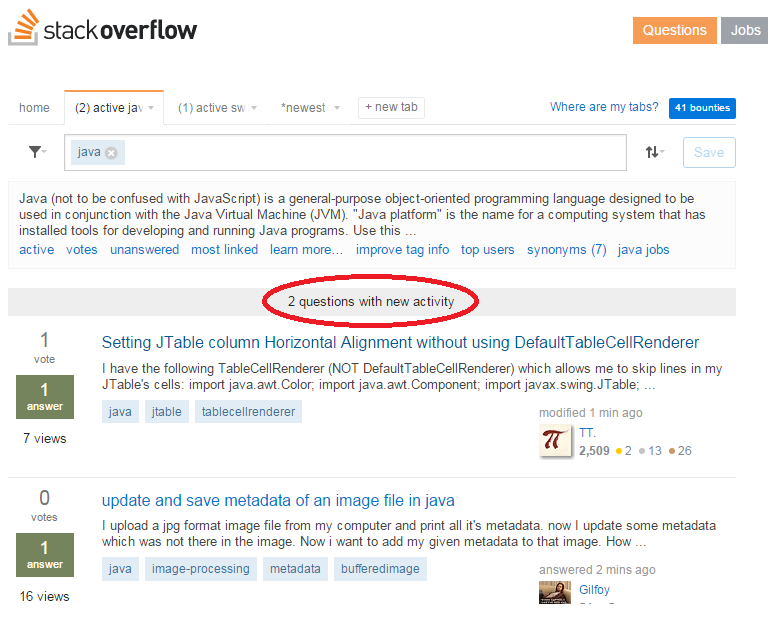 Browse other questions tagged feature-request new-nav ignored-tags .